According to a pair of videos posted online, a group of opponents to the U.S. Supreme Court confirmation of Judge Brett Kavanaugh hounded U.S. Sen. Ted Cruz, R-Texas, out of a Washington, D.C., restaurant Monday evening. * This story was updated Tuesday morning with a comment from U.S. Rep. Beto O'Rourke, D-El Paso. WASHINGTON, D.C. — According to a pair of videos posted online, a group of opponents of the U.S. Supreme Court confirmation of Judge Brett Kavanaugh hounded U.S. Sen. Ted Cruz, R-Texas, out of a Washington restaurant Monday evening. "I'd love to talk with you about Brett Kavanugh tonight," a woman said in a video posted by the Twitter account "Smash Racism DC." "I'm a constituent. Love to know what your vote is going to be tonight," she added. "I know that you're very close friends with Mr. Kavanaugh. ... Do you believe survivors, sir?" The exchange comes amid a charged day in the nation's capital, as Republican leadership continued its push for Kavanaugh's confirmation. Kavanaugh's prospects came under withering attack over the past 10 days, after California professor Christine Blasey Ford accused him of sexually assaulting her when both were teenagers in suburban Washington. In both that video and another one concurrently posted, protesters surround the senator and his wife, Heidi Cruz, with chants of "We believe survivors!" At one point, the woman told Cruz, "I have a right to know what your position is on Brett Kavanaugh." Cruz responded, "God bless you, ma'am." 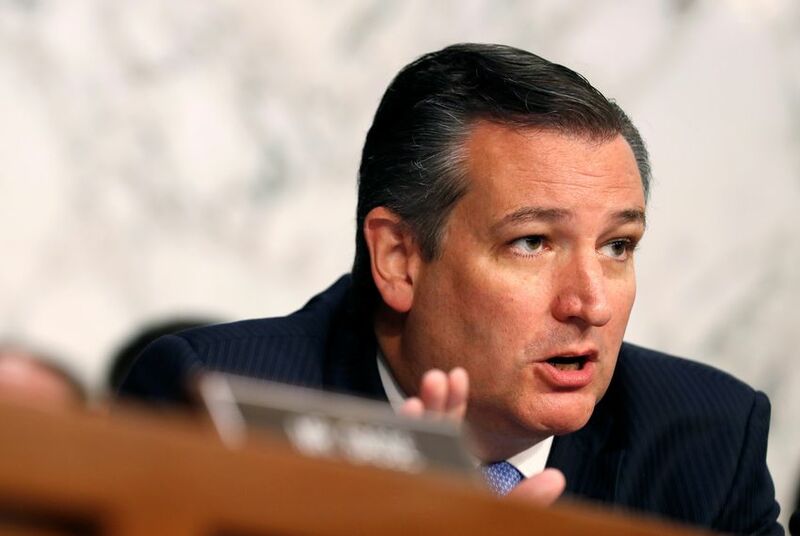 Since the first allegations against Kavanaugh exploded over a week ago, Cruz has carefully measured his words and let other senators, including the state's senior senator, John Cornyn, take the lead on pushing forward with Kavanaugh. Cruz is in a tight re-election campaign against U.S. Rep. Beto O'Rourke, D-El Paso, who on Tuesday denounced the heckling. "Not right that Senator Cruz and his wife Heidi were surrounded and forced to leave a restaurant last night because of protesters," O'Rourke wrote on Twitter. "The Cruz family should be treated with respect." A Cruz spokesperson declined to comment late Monday night.